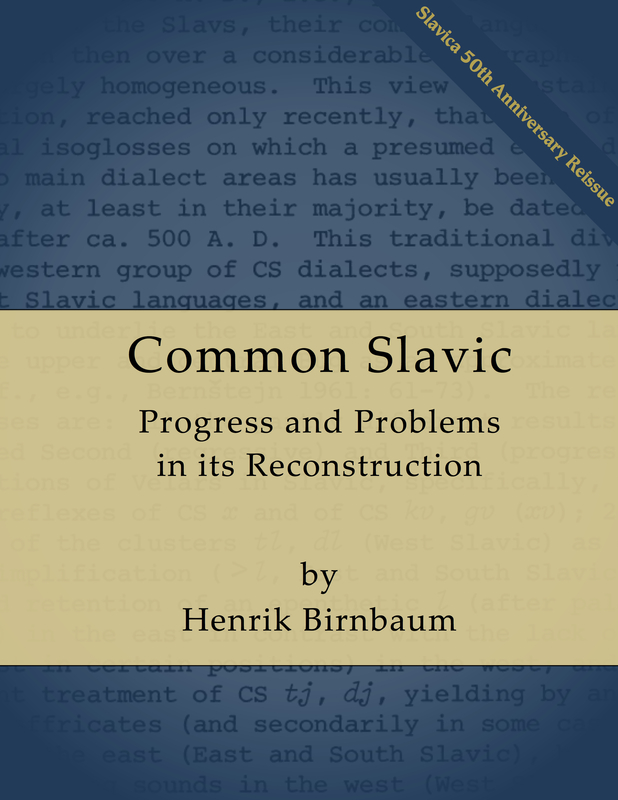 Common Slavic: Progress and Problems in its Reconstruction is an extraordinarily valuable annotated literature review. It is dated only in the sense that the literature surveyed is now fifty years older. There is nothing dated about the commentary on the literature, and given the relatively moderated pace of progress in historical Slavic linguistics in this era of intense focus on linguistic theory, a substantial portion of the material surveyed in this book is still state of the art with respect to our understanding of the historical comparative problems.